After spending over a decade in the travel industry in the 80’s, two of our founding partners, Cindy Romanow and Susan Mercredi, decided it was time to open their own travel agency in 1991. They felt their first-hand knowledge and dedication to customer service would bring something fresh to the travel playing field in Canada’s North. Fast forward 27 years and you will find Cindy and Susan, standing by their founding principles of integrity, trust and loyalty. Over the past 27+ years Top of the World Travel has operated in Yellowknife, Northwest Territories, and provides Corporate and Leisure travel services to customers across Canada and around the world. 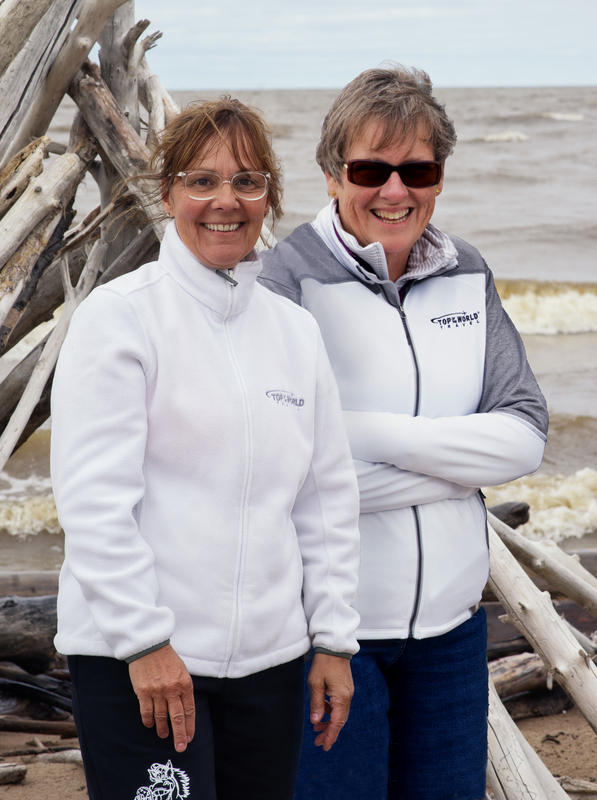 We are proud to be a homegrown northern travel agency with our two working owners residing in the Northwest Territories and our corporate partner, Kitikmeot Corporation, located in Cambridge Bay, Nunavut. The Top of the World team consists of a diverse and qualified group of Travel Advisors who each bring a wealth of knowledge and experience to our company and ultimately to our customers. As northern Canada’s premiere travel agency, we provide travel management services for companies and organizations and territorial and federal governments. We provide vacation travel services to customers across the country and northern tours to adventurers around the world. At Top of the World Travel, we deliver exceptional service, by offering our customers exclusive rates and amenities with our travel partners including airlines, hotels and resorts, cruise lines, tour suppliers, local sightseeing providers and others. Whether booking corporate travel, leisure travel, sports or school groups or family vacations, we are confident that our team will make every travel experience seamless and worry free and provide value for every dollar spent. We value our customers and our travel partners and look forward to working with you. Northern Owned – Globally Connected.